life in europe – Sunshine. Whimsy. Tacos. My residence permit expires at the end of October, and I’ll be heading back to the US around that time. October may seem like a long way off, but it’s really not. I have less than three hundred days left in Germany. I wrote a 500 days post back in June, after I passed the halfway mark of my time here. It listed a number of the things that I wanted to accomplish before I leave. Between June and December, I finished five of them. Here’s an updated list of things that I really want to do before I go. I want to see the Tulip Festival in Holland. This will likely happen- My partner-in-crime Jenny and I are planning on trying to make it out, but you can’t really plan that too far in advance. The tulips don’t bloom on a set schedule and if they’re not blooming when you go, it’s a wasted trip. I kinda want to see Mini Europe in Brussels. I’ll probably pair Brussels with a visit to Luxembourg- they’re in a straight line, more or less, and they’re all on my Geographic to-do list. There’s a bunch of other places in Germany that I want to see. A selection: Rothenburg ob der Tauber. Oberhaus Fortress in Passau. The Tomb of Charlemagne in Aachen’s Palatine Chapel. The Auto Technik Museum in Heidelberg. I’m going to see Carnival in Cologne. I already have my hotel room reserved for the events of Carnival Sunday and the Rose Monday parade. I’m attending a wedding in July. I’ve wanted to write a post about weddings here for a while, but I haven’t been to a wedding in Germany yet. That’s going to change though: Over the holidays, Jenny and her boyfriend Robert got engaged! Jenny is my best friend on this continent, and I’m wildly happy for them both. I’m sure I’ll be writing about this happy occasion several times this year. We’re going to Drachenstich! I found out about this too late last year to make it happen, but I’ve already got tickets for this August. I’m really looking forward to this! 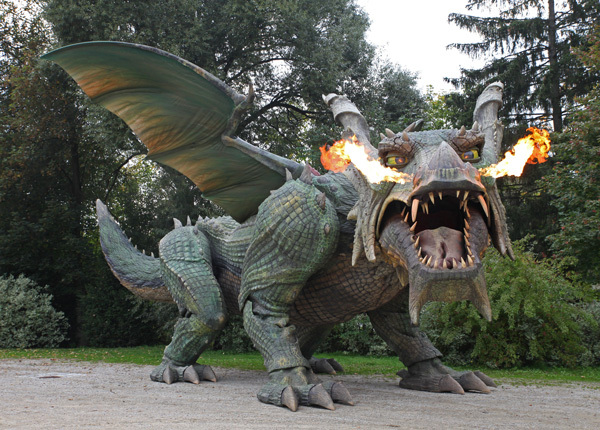 Drachenstich is a festival in Furth Im Wald which is kind of like Medieval Times, but with a giant robot firebreathing dragon! Here’s a trailer thingie so you can get a sense of the festival. I need to visit more countries. I haven’t been into Poland, Romania, Turkey, or Croatia yet, and I’d like to. And maybe Greece, if there’s time. There’s still so much to see! If you only had one year remaining to live in your current country, what would you want to do before you had to leave? 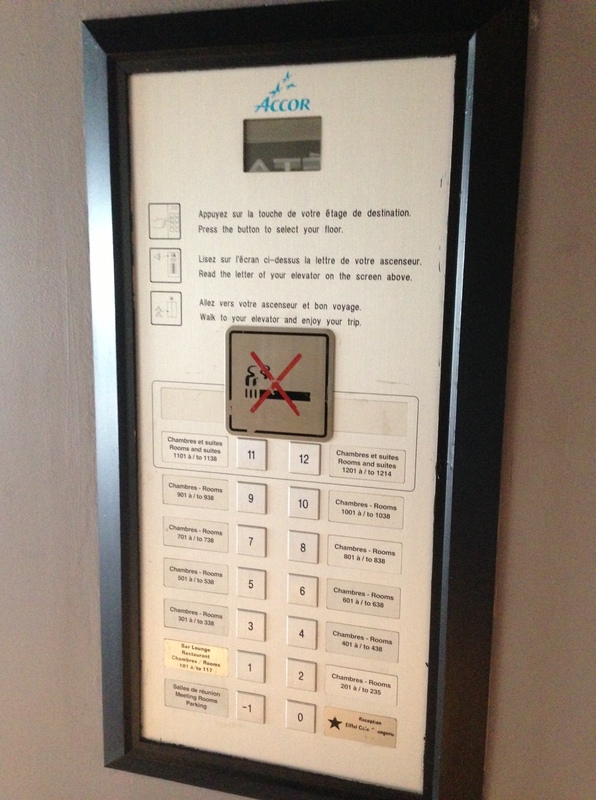 The elevator at the hotel where I stayed in Paris was one of the strangest elevators I’ve ever seen in a hotel. There are no buttons inside the elevator except for the open and close door buttons. You select your destination on the panel outside the door, and then the little LCD screen on the top shows you which elevator will take you. When the elevator door opens, there’s a tiny set of lights showing which floor numbers that elevator will stop at. Weird, but effective. Although sometimes that elevator got really full. Have you ever been on an elevator with an unusual configuration? Just two things about hotels in Europe that I’ve seen Americans get confused or surprised by. Item one: The room card. 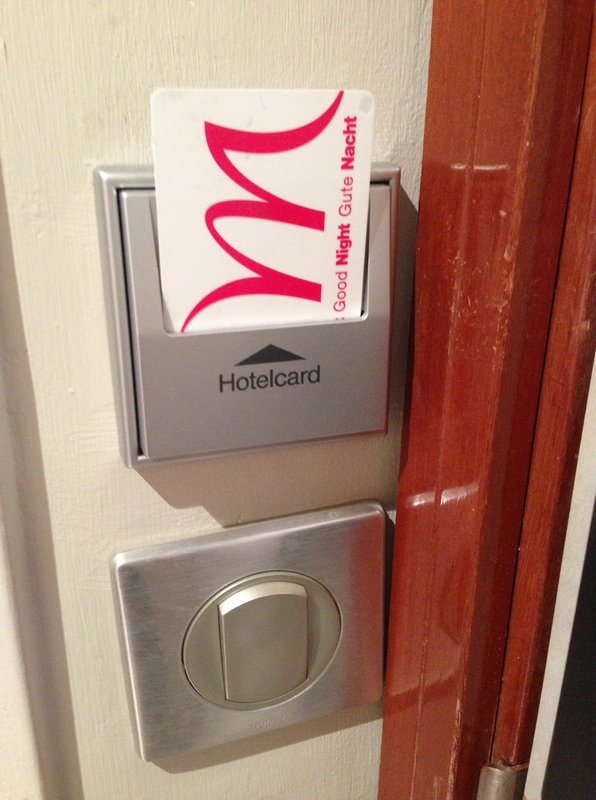 In many hotels here, you use your room key inside the room to activate power for the hotel room. In many cases, you have to use your hotel key to get the elevator to go up past the first floor also. 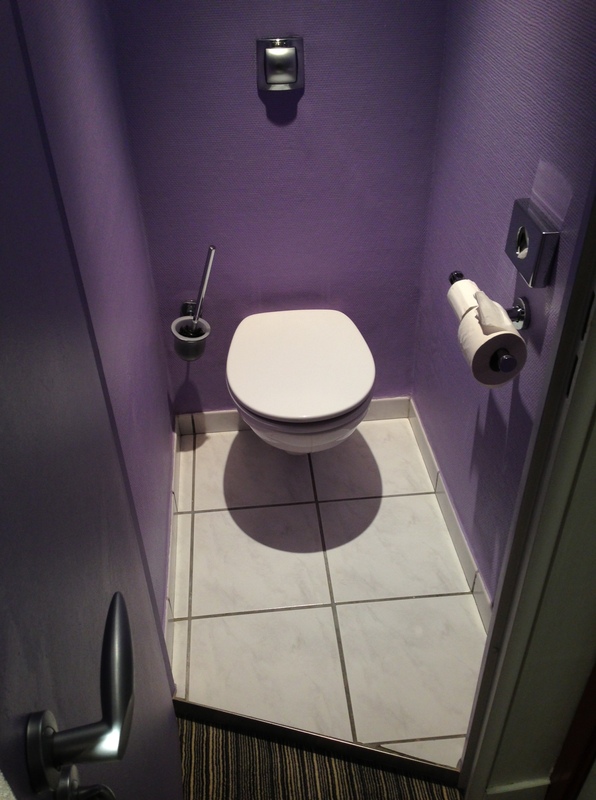 Item two: In many hotels in Europe, the bathroom is separated more than it is in the US. The toilet sits alone in its own little room, and the sink and shower are in another place entirely. Also, it is very common for toilets in Europe to have a toilet brush installed nearby- in this photograph, it’s the thing mounted to the wall to the left of the throne. This is because Europeans expect you to use the toilet brush after you’re done, even in places that have maid service. It’s a courtesy thing. What interesting differences in European hotels have you been surprised by? License plates in Europe are kind of fascinating to me. Within the European Union, modern plates (issued after 1994) typically look like the one pictured below, but with a few key differences. They all have the circle of stars that represents the EU, but there’s a letter underneath which represents the source country. This plate is D for Deutschland, naturally. There’s also F for France, A for Austria, I for Italy, and so forth. Plates from Switzerland look different because they aren’t actually EU members; they go their own way. 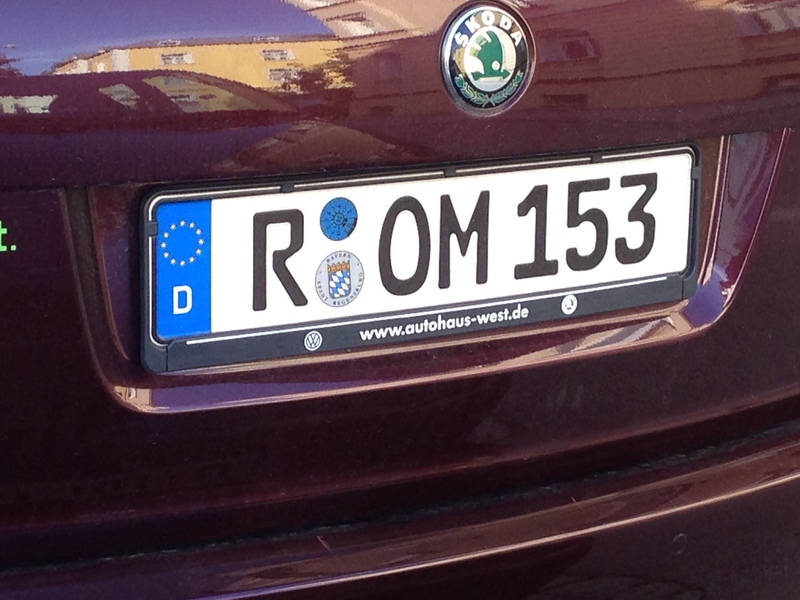 Here in Germany, the first letter (or grouping of letters) represents the city where the plate was issued. Bigger cities tend to have single character codes, such as B for Berlin, L for Leipzig, M for Munich, and so forth. The R below is for Regensburg. Smaller cities have multi-letter codes. Nearby Schwandorf gets the amusing license code SAD, which leads to all kinds of “sad” plates making me giggle on a daily basis. Immediately after the city code, there are safety inspection and registration stickers, and then some other letters and numbers that are unique to each vehicle. Do you think I’m a little nuts for being this fascinated by something as mundane as license plate configurations?